MoM | McLuhan On Maui 2011: PROMPT: "It's About as Close to LSD on the Page as You Can Get." 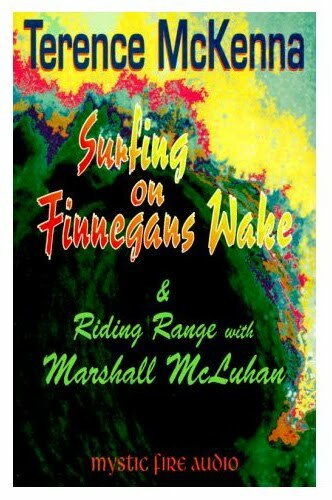 PROMPT: "It's About as Close to LSD on the Page as You Can Get." "The reason I'm interested in it is because it's two things, clearly. 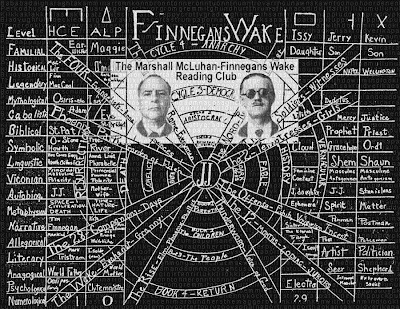 'Finnegan's Wake' is psychedelic, and it is apocalyptic/eschatological." 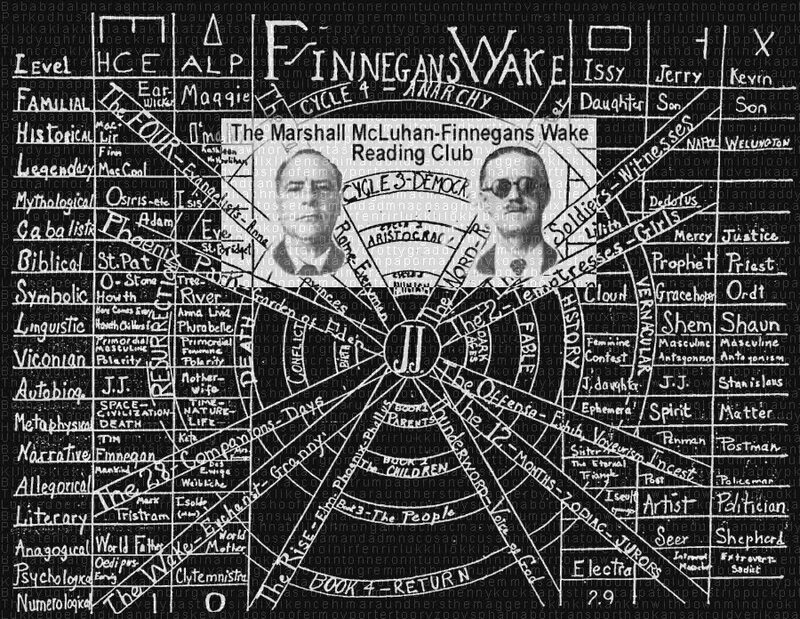 "FINNEGANS WAKE is an encyclopedia of lore concerning the origins and effects of words, of writing, of roads and bricks, of telegraph, radio, and television on the changing hues of the human spectrum...In fact, FINNEGANS WAKE is the greatest guide to the media ever devised on this planet, and is a tremendous study of the action of all media upon the human psyche and sensorium. It's difficult to read, but it's worth it."